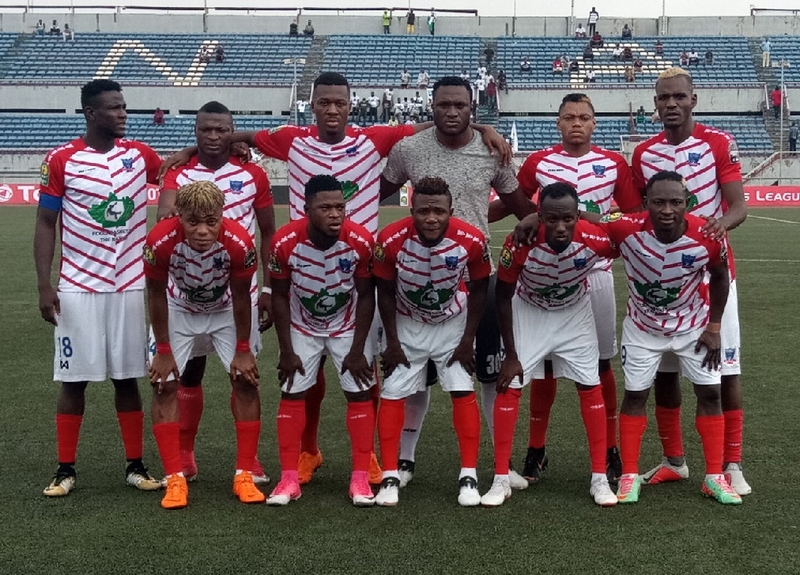 Lobi Stars’ hopes of progressing into the knockout round of the CAF Champions League suffered a huge setback following a 1-0 home defeat to Morocco’s Wydad Casablanca at the Nnamdi Azikiwe Stadium, Enugu on Saturday. Mohamed Nahiri netted the winning goal from the spot in the 20th minute blasting past Olufemi Kayode in goal for Lobi Stars. Kayode however saved another penalty in the 63rd minute, but the hosts were unable to find an equaliser despite piling pressure on the opposition’s defence in the closing stages of the game. Former Super Eagles forward Babatunde Micheal started the game for Wydad Casablanca and was replaced by Amin Tighazoui 13 minutes from time. Wydad Casablanca now occupy top spot in the group with six points from three games, while South Africa’s Mamelodi Sundowns who defeated Asec 3-1 on Friday sit in second position with the same number of point but with an inferior goal difference. Lobi Stars are third on the log with three points, with just one win from three group fixtures.